Andrew Watts ’04 and Alan Llanes ’04 graduated from UMBC with degrees in biology and psychology, respectively, and they each went on to pursue careers in product sales. 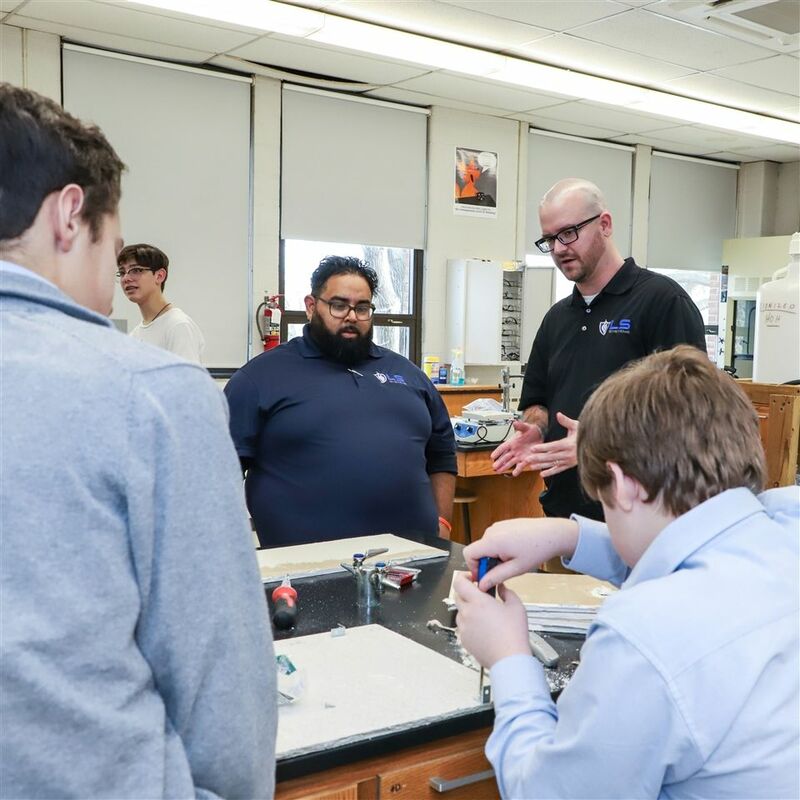 Now, they are account managers for Life Safety Systems, which handles safety and security systems integration, and are serving together as mentors for Mount Saint Joseph’s Fire Protection Engineering Club as the students learn to construct working fire suppression models. 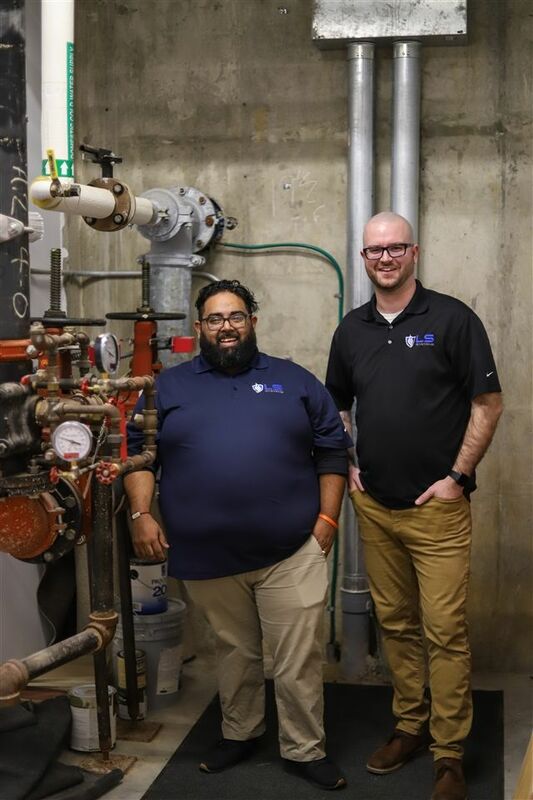 The opportunity to share their knowledge came last spring, when Alan received a message from MSJ classmate David Grebe ’04 about a Mount Saint Joseph Instagram post featuring its new Fire Protection Engineering Club. Alan immediately shared with Andrew the news from their alma mater, and the pair brought an idea to their boss. One thing led to another and Andrew and Alan took over as mentors for the club. After looking at the curriculum provided by the University of Maryland, which sponsors the high school Fire Protection Engineering Design Challenge, they both agreed that improvements could be made. With their company’s support, they were able to bring in visual aids for interactive, hands-on learning. They also donated building equipment and compressed their lessons into a few weeks to maximize build time, as their main objective has been to create models to compete in UMD’s Design Challenge held this spring. The ultimate goal is for the students, in teams of four or five, to build a fire suppression system with household items for under $50.